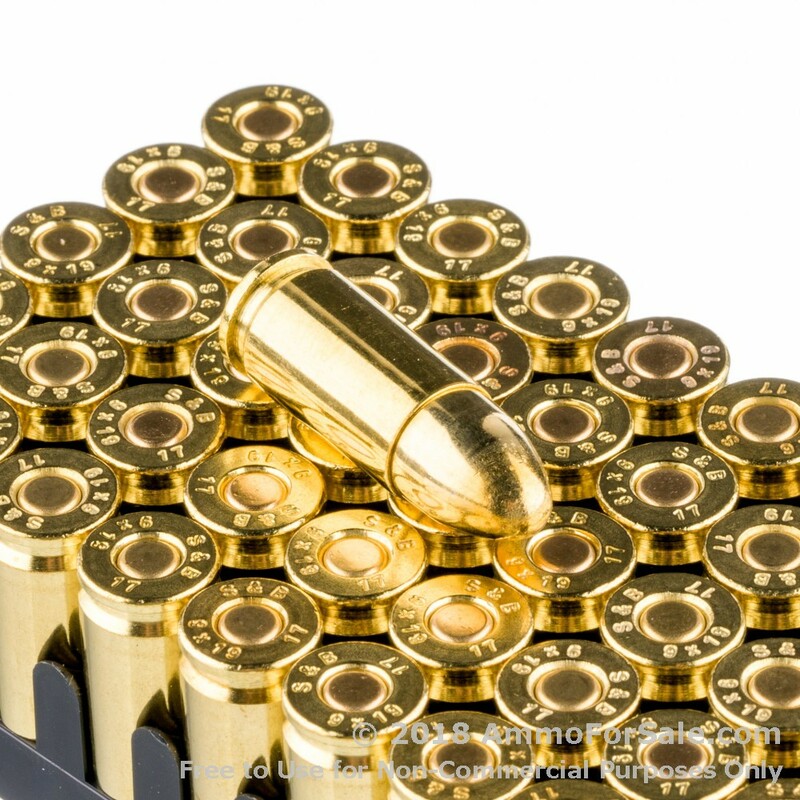 9mm ammo is pretty much the most popular defense round there is due in large part to the fact that it offers good stopping power combined with less recoil than its bigger-caliber friends. It’s also more affordable, and mags for 9mm’s tend to have a higher capacity, which many shooters prefer. When Georg Luger designed the tough little round in 1901 he couldn’t possibly have imagined it would enjoy more than a century of consistent popularity, but it has, in fact it’s even more popular now than it used to be. If you have a 9mm you should be taking it out for regular range time, and in order to do that, you need target rounds just like these. 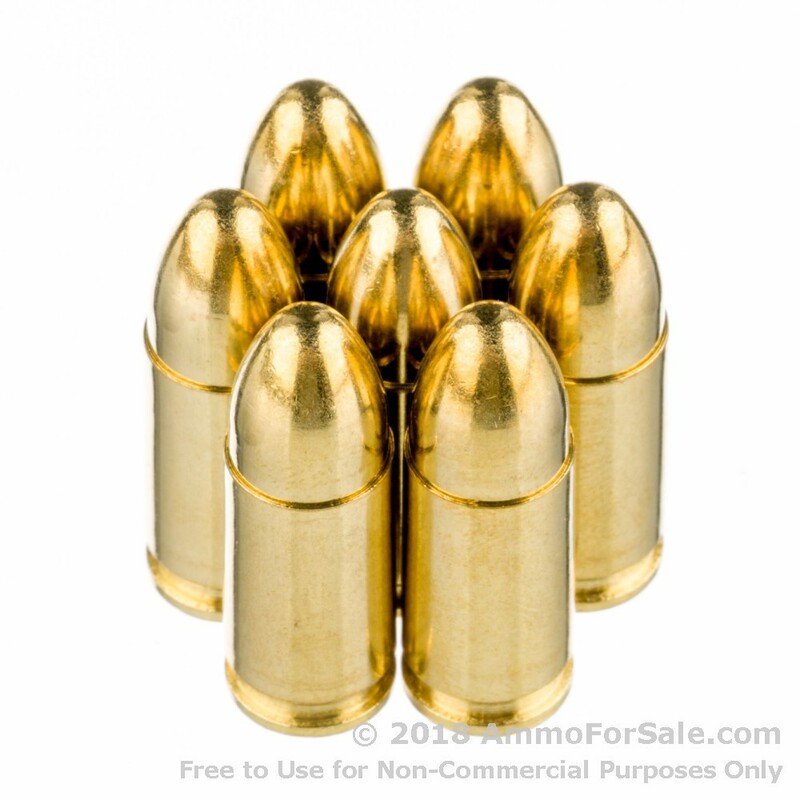 These are reasonably light rounds at 124 grain. They’ll fly down-range with impressive speed and still deliver solid energy; they’re good training rounds. This is FMJ ammunition and doesn’t expand on impact, and as with all target ammunition it has a tendency to over-penetrate, so you need to have a reliable backstop in place. Each round moves quick with a muzzle velocity of 1181 feet per second and makes a solid impact with a muzzle energy of 384 foot-pounds. 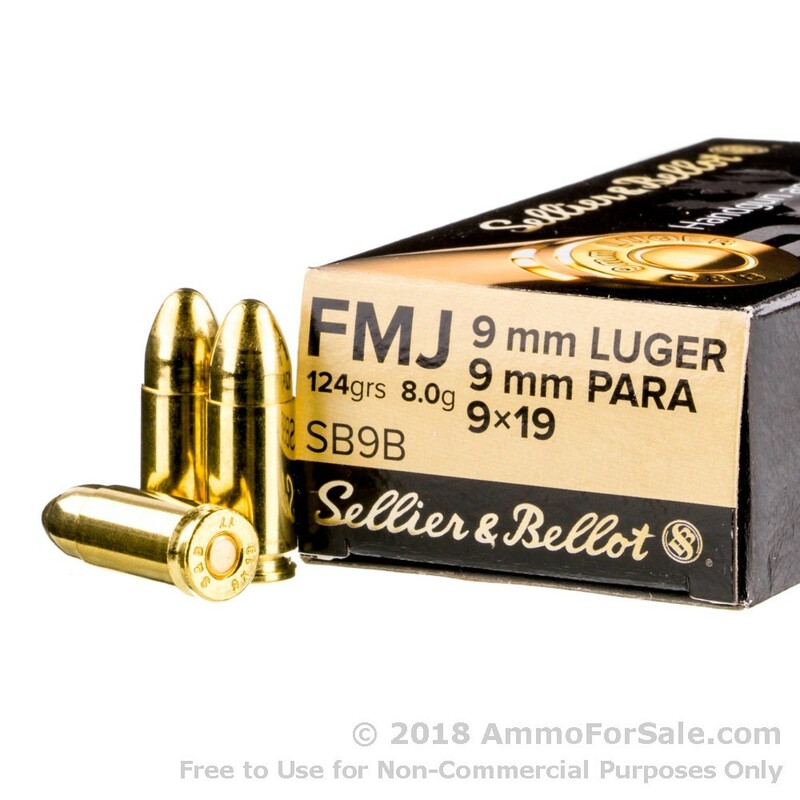 Sellier and Bellot produces this ammunition just for your target practice needs, and it’s also great for shooting drills and those days you just want to put holes in some empty (or not empty) pop cans. 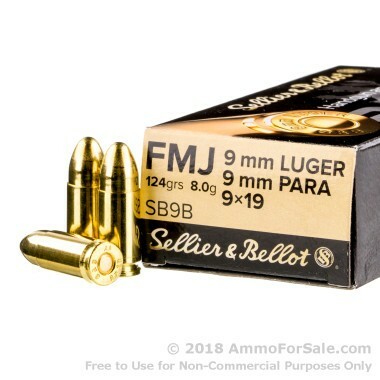 There are 50 target rounds in this single box of ammunition from Sellier and Bellot. It’s a great size for stashing in your range bag or stacking in your safe for a rainy day. Sellier and Bellot was founded in 1825 by Louis Sellier and got their start making percussion caps for their local infantry. They expanded quickly, and today their distribution reach is global. Ammunition is manufactured at their plant in Vlasim, Czech Republic. These are new-production, non-corrosive brass cases with boxer primer, and that means you can reload them. If you’re ready to hit the range with your 9mm, order your box (or two, or three) of this target ammo, and go punch some holes in some paper – or pop cans, or pumpkins, or whatever stationary object you prefer. Just go shooting!